A guide to the best places to stay in Yorkshire with babies and toddlers including baby and toddler friendly cottages, hotels and holiday parks. The converted train carriages at The Old Station At Allerston near Pickering are great for toddlers. Firstly, there is the thrill of staying in a train complete with first class seats, toys, games and even a Toilet Engaged sign which lights up when it is in use. Then there is the play area, 2 acres of grounds to run around in and even friendly chickens which come to the carriages to see if there is any food available. 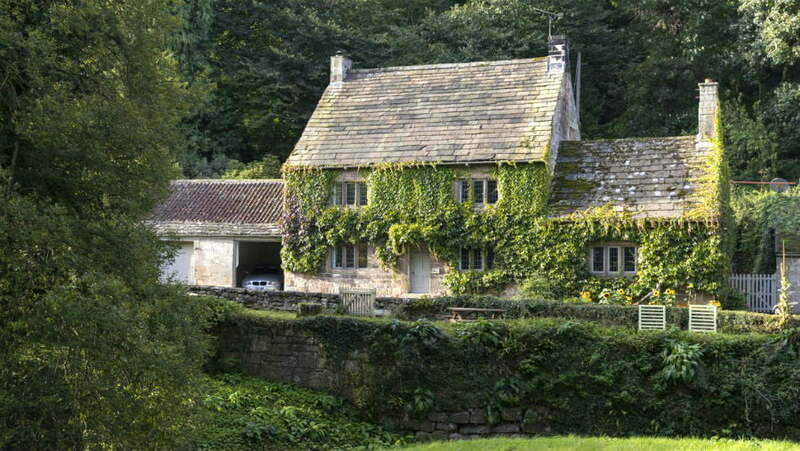 Vine Cottage is a beautiful 19th century 2 / 3 bedroom cottage on the edge of the North York Moors and less than 1 hour from York. The cottage has a hot tub, gorgeous open plan living area, cottage kitchen and utility room with a washer / drier. One of the best things about Vine Cottage is The Burrow which is a snug with a TV / DVD player, child friendly DVDs and a toy chest – perfect for toddlers to play in. Outside Vine Cottage there is a hot tub which seats up to 5 adults, and a garden with a lawn area for toddlers to run around in and play games. Reighton Sands is a small Haven holiday park on the Yorkshire coast, close to the Victorian seaside town of Filey. There is direct access to a 5-mile-long sandy beach, and an indoor and outdoor swimming pool and lazy river. There are lots of activities for babies and toddlers including Nature Rockz for outdoor loving toddlers and Learn 2 Swim sessions. Accommodation is in comfortable caravans. The best thing about these luxury apartments in Scarborough is the location. Located on the quieter North Bay, The Sands apartments have a massive sandy beach right in front of them, with the SeaLife Centre at the other end of the Bay. The North Bay Railway is just round the corner, as well as famous Peasholm Park – don’t miss the fun mock Naval warfare battle which takes place in the summer months! One of the newest attractions in Scarborough is Alpamare which is a new waterpark with swimming pools, slides and a Spa, and this is just a 10 minute walk from The Sands. For amazing ice cream sundaes and milkshakes, head to Peaches round the corner from The Sands. There are 1,2 and 3 bedroom apartments at The Sands and they have all been given a 5* rating. They have designer kitchens, free parking and WIFI and stunning sea views overlooking the bay and Scarborough Castle. Perfect for if you are looking for a seaside holiday with a bit of luxury!!! Looking for something a bit different? Why not check out Fountain’s Cottage which is a 4 bedroom cottage in the ground of the UNESCO Fountains Abbey and Studley Royal Estate. The cottage was built in 1749 as originally served as a farmhouse, but is now a spacious holiday cottage with bags of character. All guests get free access to Fountain’s Abbey which has a fantastic playground, children’s activities and of course the world famous Abbey and Water Gardens. 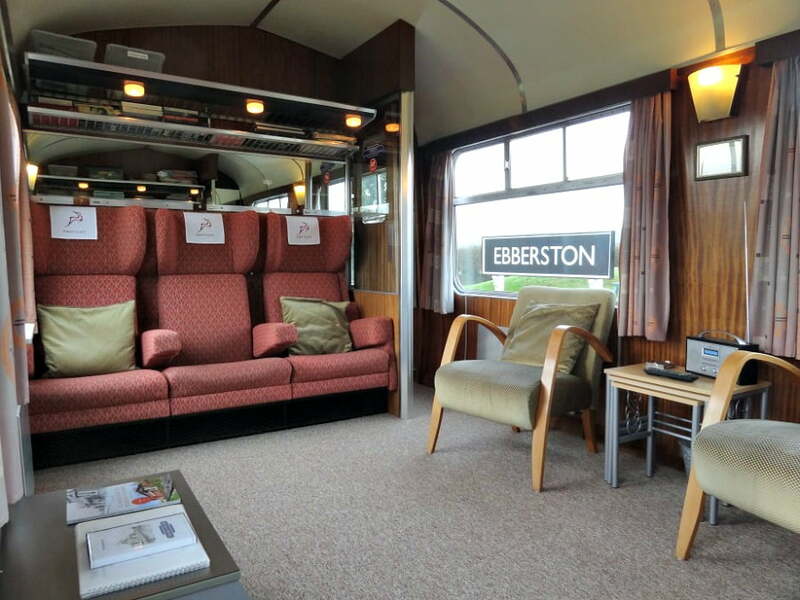 Fans of the Channel 5 TV series, ‘The Yorkshire Steam Railway’ may be interested in spending a bit more time at the North York Moors Railway where it is filmed, by staying in one of their railway camping coaches. Stay in a cottage, wigwam or tent at Humble Bee Farm. This is a working arable farm in a peaceful location close to the seaside towns of Bridlington, Filey, Scarborough and Whitby. There are lots of animals on the farm including chickens, sheep and cows, and children can help collect the eggs in a morning. There are also 2 playgrounds and loads of space to run around in. Natural Retreats have 18 award winning eco lodges just outside the market town of Richmond in North Yorkshire. 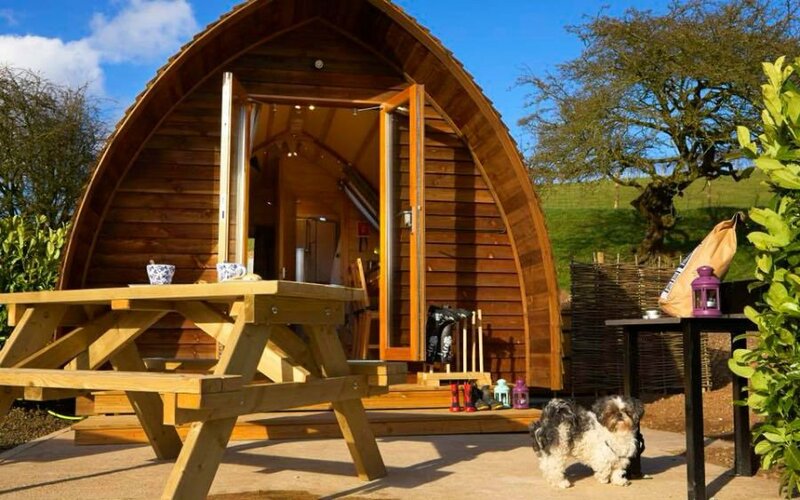 The lodges are set in 55 acres of countryside but are just a short walk from Richmond, and close to the Yorkshire Dales, and attractions like the Forbidden Corner and Big Sheep Little Cow. The lodges are perfect for a relaxing break with a bit of wildlife watching and star gazing thrown in for good measure. The lodges have wood burners, floor to ceiling windows, open plan living and dining areas with fantastic views over the Yorkshire Dales. Bike hire is available and there are plenty of cycling and walking trails nearby. Just outside the market town of Holmfirth (think Last of the Summer Wine! 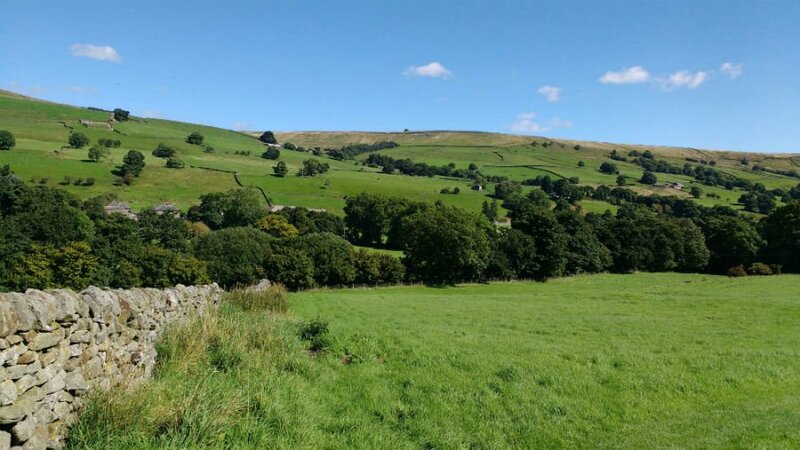 ), on the edge of the Pennines, Uppergate Farm has 4 baby and toddler friendly cottages and B+B accommodation. There are cows, sheep, geese and over 300 free range hens at Uppergate Farm, so there are plenty of opportunities for toddlers to help out on the farm! There is also an indoor and outdoor play area and picnic area, and a stunning swimming pool, sauna and steam room to relax in after a busy day. Uppergate Farm is in a great location to get to the fantastic Eureka Museum in Halifax which is a toddler’s paradise. 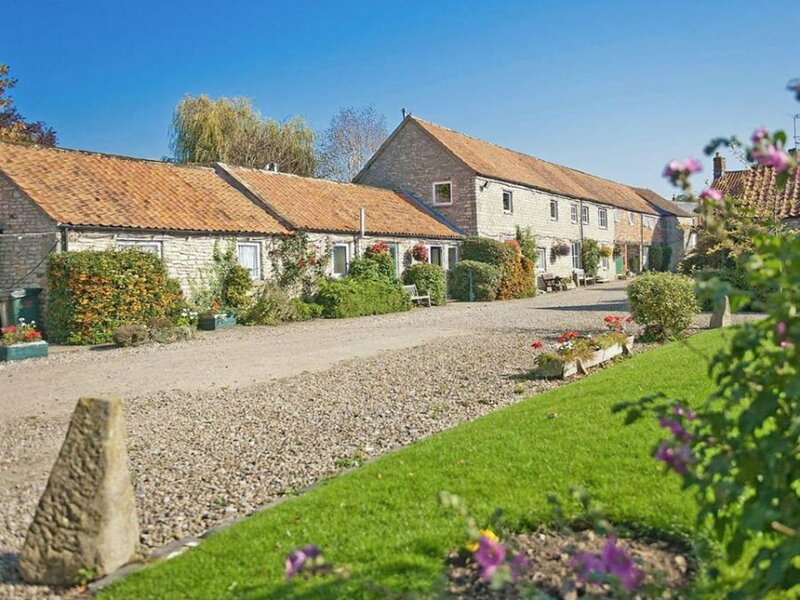 Beach Farm Cottages near Pickering has 8 award winning family friendly cottages on the edge of the North Yorkshire Moors close to York and the coast. The cottages range in size from a small cottage for 2 people to the Farmhouse which accommodates up to 10 people. There is an adventure play area, a paddock and a menagerie of animals including 2 llamas, a stable cat, chickens, ducks, & koi carp! Toddlers will love splashing about in the indoor swimming pool and parents will love the whirlpool and sauna. 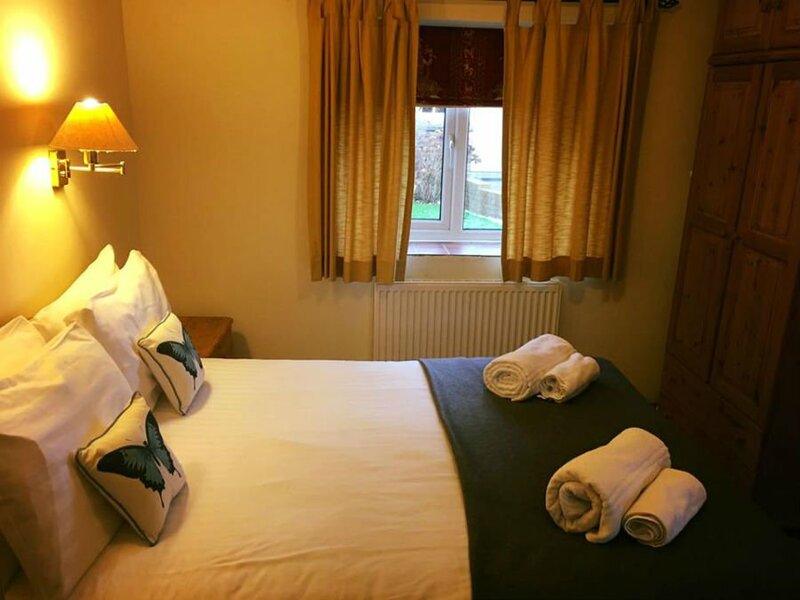 Keld Head Cottages is a cluster of 9 baby and toddler friendly cottages situated round a courtyard just outside the bustling market town of Pickering. There are large gardens to explore and a children’s playground, and the cottages are close to the North Yorkshire Moors, Pickering Steam Railway and the East Coast. Filey Holiday Cottages are just outside the seaside town of Filey, are charming cottages situated around a large grassland area with a playground. We spent a lovely few days here with our 2 year old and went rockpooling in Filey, watched the mock navel battle in the lake at Peasholm Park in Scarborough and went cycling in the Dalby Forest. 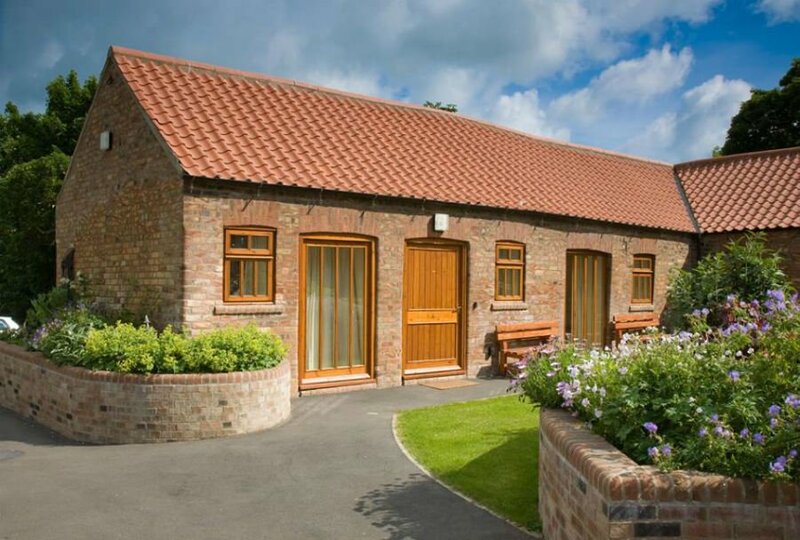 Bridge Farm Holiday Cottages in Driffied, East Yorkshire are great for holidays with babies and toddlers. 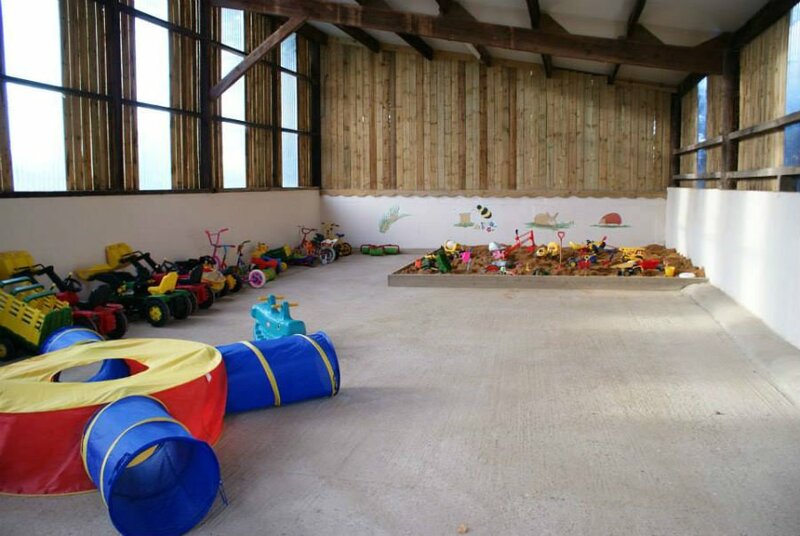 As well as animals to feed, these delightful cottages offer younger guests a large sand pit to play in, pedal tractors, diggers and a 2 storey wendy house! All the cottages have underfloor heating and wood burning stoves. The seaside towns of Filey, Scarborough and Bridlington are easily accessible, along with Flamingo Land theme park and The Deep sub aquarium in Hull. 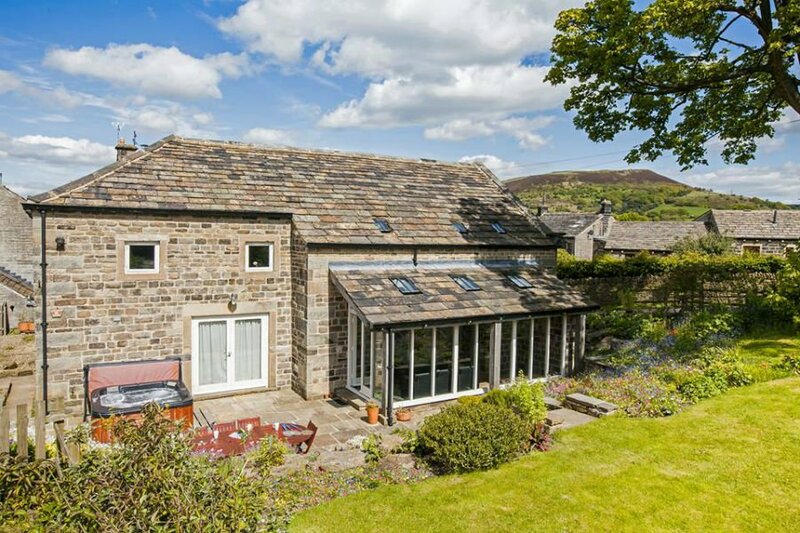 These 4* gold award cottages are on the edge of Ilkley Moor and a 10 minutes walk from the world famous Betty’s Tea Rooms! The 3 cottages sleep up to 6 people and are situated round a sunny courtyard. Orchard Cottage is perfect for toddlers as it has its own playden. Guests are provided with quality cots, high chairs, stair gates and boxes of toys. There is an outdoor play area with swings, a climbing frame and a wendy house – all situated within enclosed gardens. Read More – Can You Enjoy A Lady Betty’s Afternoon Tea With Children? Flamingo Land is a well-known zoo and theme park near Malton in North Yorkshire. Families with toddlers can choose to stay over at the onsite holiday resort, which offers luxurious accommodation and an entertainment and leisure complex, and is perfectly place for easy access to the zoo and theme park. Toddlers will love rides in the theme park such as the Balloon Ride, Gallopers and Muddy Duck Tractor Ride. There are loads of animals in the Zoo ranging from big cats, such as tigers, through to farmyard animals. 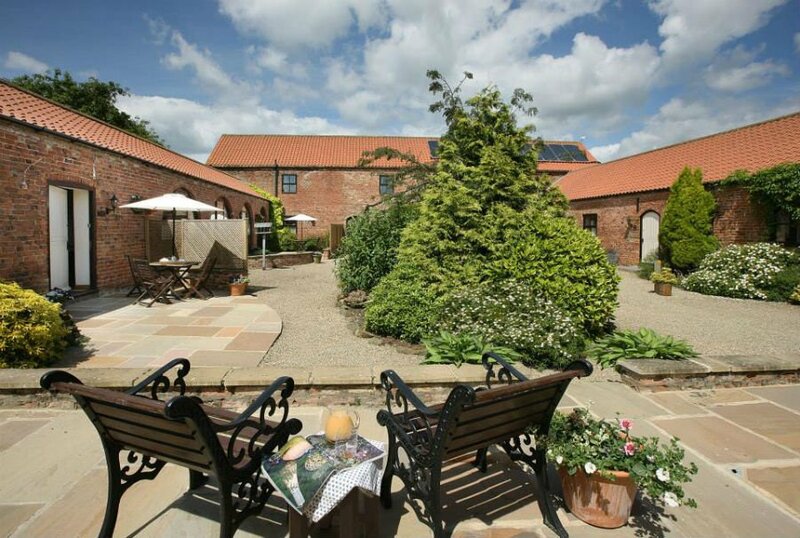 Old Oak Cottages comprises of 8 baby and toddler friendly cottages with an indoor swimming pool, spa, sauna and all weather tennis court close to the market town of Thirsk. Children will love the climbing frame, swings, slide, play fort, trampoline and see saw in the play area / picnic field. The cottages have free WIFI, magnificent views and direct access to lovely walks. Cots, highchairs and stair gates are provided free of charge and there are also a couple of blackout blinds available to borrow. 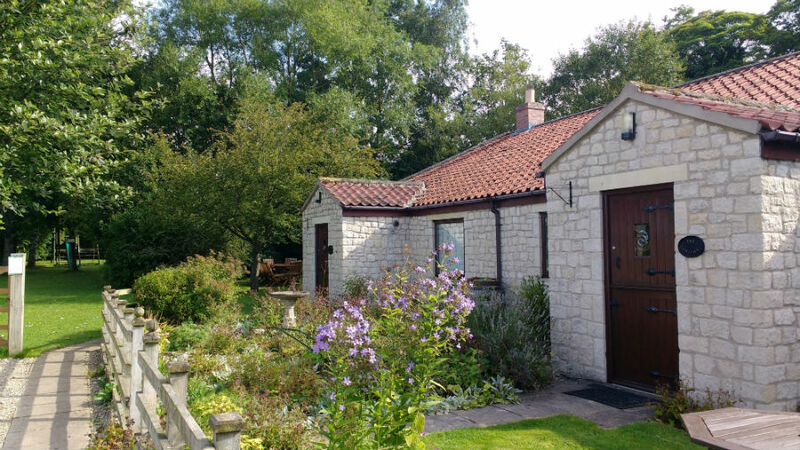 Wrea Head Holiday Cottages are located just 2 miles from the seaside town of Scarborough, surrounded by the beautiful countryside of the North Yorkshire National Park. 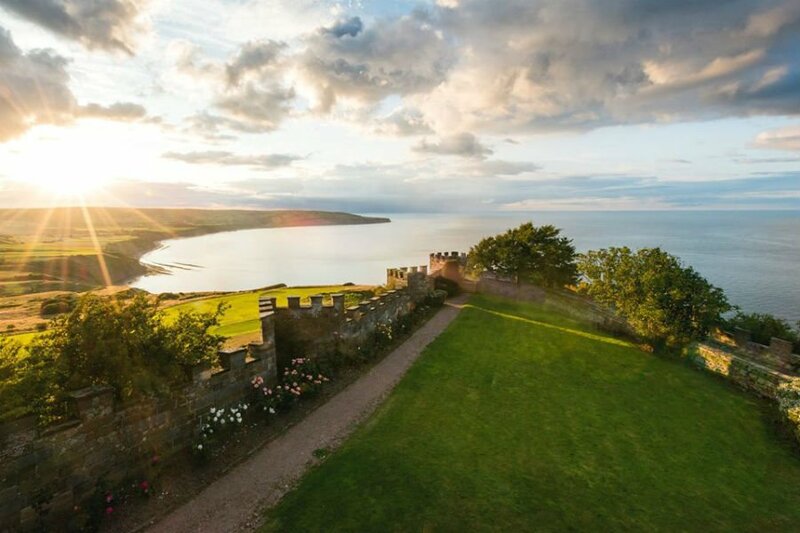 The 9 cottages are set around attractive gardens and have stunning views towards the sea and Scarborough Castle. There is an indoor swimming pool and Jacuzzi with a pool side playpen. Outside there are extensive lawned gardens and a summerhouse. Toddlers will love playing in the Teddy Bear’s Cottage – a 2 story full furnished playhouse in its own garden complete with Mummy, Daddy and Baby Bear! The seaside towns of Scarborough, Filey, Bridlington and Whitby are close by. 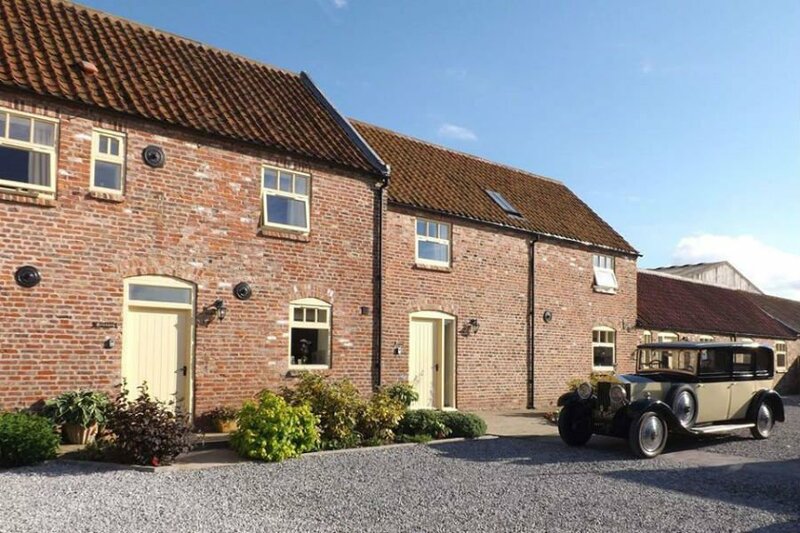 Broadgate Farm Cottages are just 2 miles from the market town of Beverley, and have 4* and 5* holiday cottages set in 19 acres of grass and woodland. There are pigs, sheep, chickens and sometimes cattle and ponies on the farm, and the owners are always happy to chat to children about the animals. The cottages range from 2 bedroom to 6 bedroom so they are perfect if you are holidaying with another family and are looking for somewhere a bit larger. The cottages are handy for visiting attractions such as The Deep in Hull, the National Railway Museum and the Yorkshire Coast. 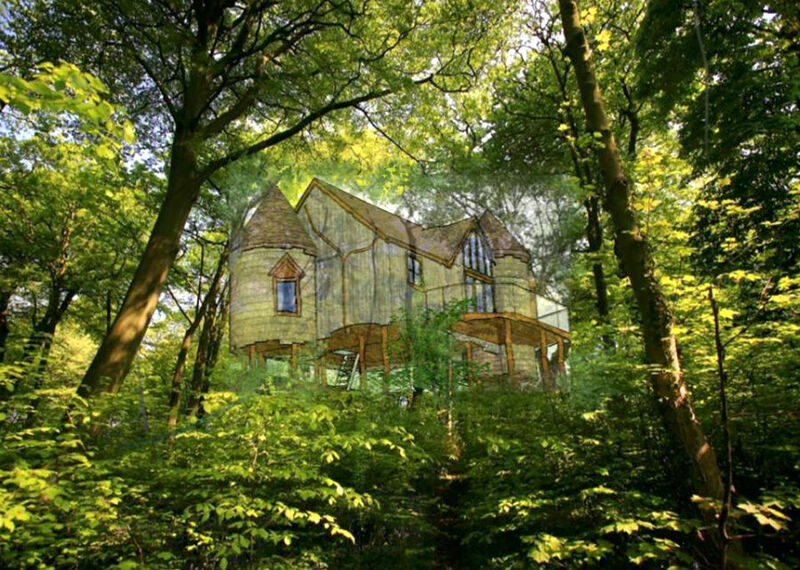 Rufus’s Roost is a brand new Treehouse in a superb location in between the Yorkshire Dales and North York Moors. Access to the treehouse is via a suspension bridge walkway, and treehouse itself has 3 bedrooms, a swish bathroom, modern kitchen dining area and a log burner to cosy up to in the colder months. There is also a Den (accessed via a slide!!!!) with bean bags, comfy cushions, TV, games console, movies and a popcorn machine. Outside there is a large veranda with a log fired hot tub. Embracing the Great Outdoors is very much encouraged at Rufus’s Retreat, so binoculars and a bat monitoring station are also provided as well as a ‘Beasts, Birds and Bugs’ log for guests to add what they see. Raven Hall Lodges are located in Ravenscar on the east coast of Yorkshire in close proximity to both Whitby and Scarborough. There are 8 Finnish lodges which have luxurious furnishings and fittings, their own kitchenette and WIFI internet access. The lodges are designed to be sustainable, eco-friendly and environmentally friendly. The lodges enjoy fantastic views over Robin Hood’s Bay, and guests can also use the facilities of the Raven Hall Hotel which includes a small heated indoor swimming pool, sauna, games room and tennis courts. There is also over 100 acres of award winning grounds to explore, and a 9 hole golf course. The lodges also benefit from a daily housekeeping and tidying service, which can be handy with toddlers around! 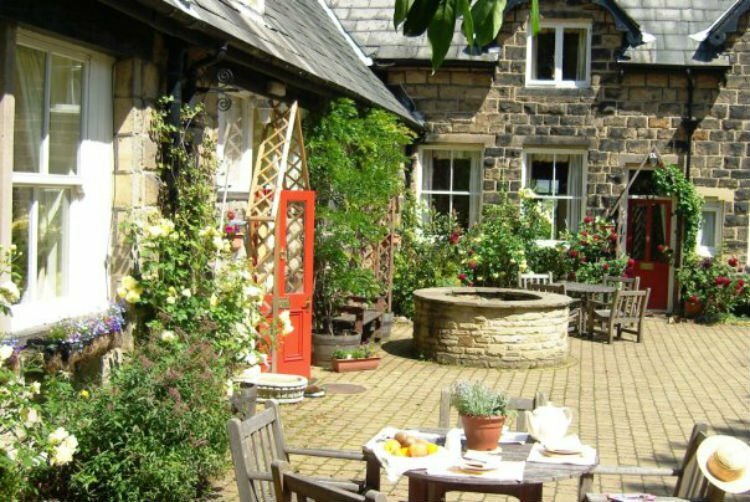 Low Costa Mill Holiday Cottages are a collection of 7 cottages just outside the market town of Pickering in North Yorkshire. They are set in a stunning rural location with a mill stream flowing along the boundary of the estate. There are 10 acres of grounds to run around in, a large lawn for playing games, a climbing frame, swings and garden toys for toddlers to play with. There is also an onsite swimming pool which is heated to a toasty 30 degrees, so there is plenty to do onsite whatever the weather. You can get to the coast within 30 mins and the historic city of York is also easily accessible within an hour drive. Deep in the heart of the Cropton Forest are luxury cabins which provide the ideal combination of a relaxing holiday with adventure mixed in. The North York Moors are right on the doorstep, and the coast is only 30 mins drive away, but there is also plenty to do in the forest if you and your little one likes exploring nature. There are organised Mini Forest Ranger activities which includes things like woodland walks, Mini Beast hunting and learning about plants and trees. The forest is also the perfect place for a bike ride, and bike hire is available onsite. Families can pre book a range of baby items such as cots, high chairs and baby baths, and there is also a Forest Retreat shop onsite where you can buy essential provisions. Luxury cabins sleeping up to 6 people are available – some even have their own hot tub! 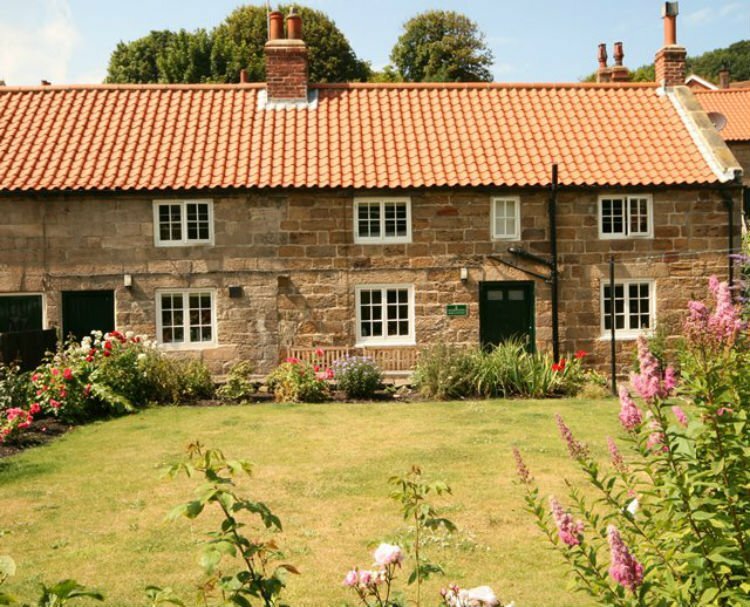 Mulgrave Estate Holiday Cottages are located in Sandsend, a quiet village a few miles up the coast from Whitby. Sandsend is one of my favourite beaches in Yorkshire – it is 4 miles long, sandy and has a little stream running down it – it is perfect for toddlers who want to make sandcastles or build dams. There are also beach cafes, a general store and restaurants selling locally produced food in Sandsend, and it is only 3 miles from Whitby where there is loads to do with toddlers. There are 6 cottages on the Mulgrave Estate, which are just over 1 mile away from the beach. They all have a private garden, parking and WIFI. Each cottage is furnished to a really high standard with DVD players, washing machines and dishwashers, and cots and highchairs are available. The Bay Filey is a holiday village with 160 stylish holiday homes and direct access to a sandy beach. The holiday homes range from 1 bedroom apartments to deluxe 4 bedroom cottages with sea views, and are all set in parkland, countryside and meadows. Toddlers will love the indoor swimming pool, days out at the beach or playing out in the parkland, woodland and meadows where the holiday homes are located. The Bay has direct access to a 5 mile wide stretch of sand and when the tide is out you can walk right into the seaside town of Filey where you can go for a donkey ride, play in the paddling pool or have fish and chips. There is also a gym, sauna and steam room for adults, and an onsite restaurant serving family meals. All the holiday homes have TV’s, DVD players, board games – cots and highchairs are provided. Brompton Lakes is a collection of 21 award winning luxury lodges in North Yorkshire with panoramic views of the Yorkshire countryside. Each lodge is beautifully furnished with all the mod cons you’d expect from a luxury lodge. Some of them are dog friendly and have hot tubs. Brompton Lakes is ideal if you are looking for a relaxing break where you can do as little or as much as you like. 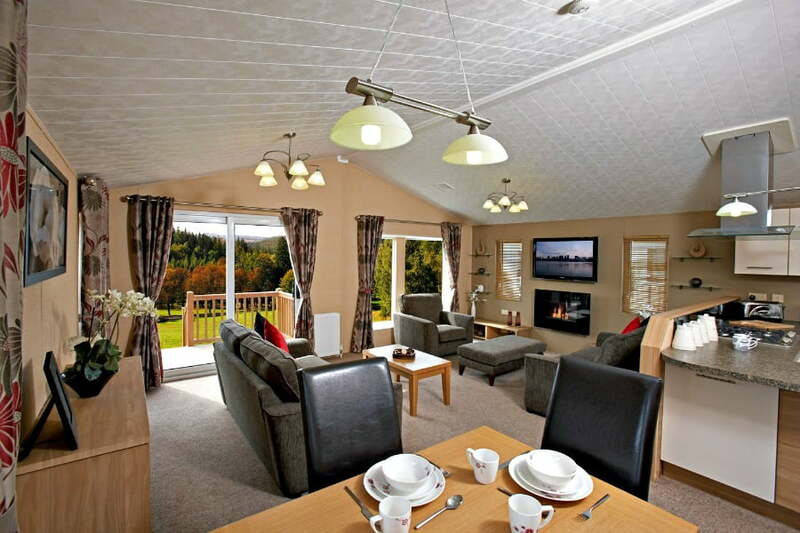 The lodges are set in 26 acres with 2 lakes surrounded by beautiful open countryside and woodland. They are a 20 minute walk or a short walk from Richmond town centre. Cots and highchairs are provided free of charge. What a great list Jo! I love the idea of staying in a Castle and Humble Bee Farm sounds fantastic as well! Awesome list Jo, I went to University in Yorkshire and would definitely check out some of these spots if I ever go back there! Hi, Jo! This is a great list! Every single one of these places looks beautiful, but I`m impressed with Treehouse. That looks like a really fun way to spend time with a family and give a toddler fun time.